Sunroof, Premium Leather Seats, 22 inch Aluminum Wheels, RamBox Cargo Management System, Trailer Hitch! Our 1500's trim level is Limited. This Ram Limited offers supreme luxury without sacrificing capability. It comes with upgraded 4 corner air suspension, beautiful leather seats which are heated, cooled, and powered in the front, a leather heated steering wheel, memory driver's seat and pedals, mobile hotspot internet access, Uconnect 4 infotainment system with navigation, Android Auto, Apple CarPlay. This awesome truck also comes with chrome accents, a spray-in bedliner, a rear view camera with parking sensors, blind spot detection, rear cross path detection and much more. 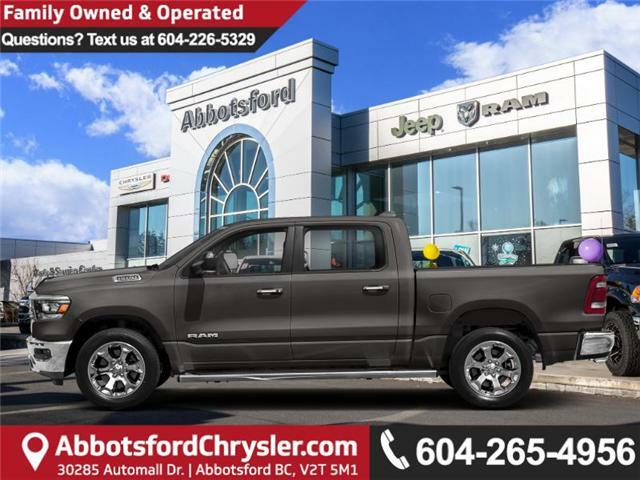 This vehicle has been upgraded with the following features: Sunroof, Premium Leather Seats, 22 Inch Aluminum Wheels, Rambox Cargo Management System, Trailer Hitch. View the original window sticker for this vehicle with this url http://www.chrysler.com/hostd/windowsticker/getWindowStickerPdf.do?vin=1C6SRFHT5KN800449. Buy this vehicle now for the lowest bi-weekly payment of $514.80 with $0 down for 96 months @ 4.29% APR O.A.C. ( taxes included, Plus applicable fees ). Incentives expire 2019-04-30. See dealer for details.